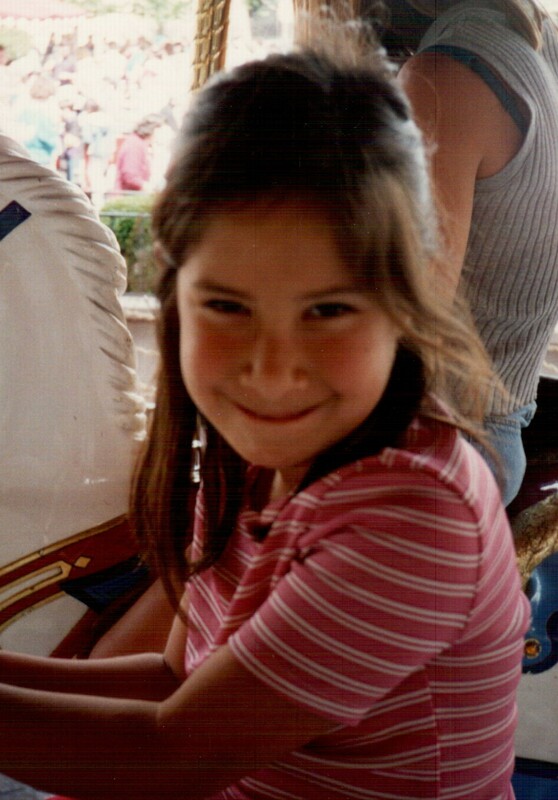 Twenty one years ago today, my daughter, Leah, burst upon the scene so fast that I had to fight with every muscle in my lower body to hold her back from being born. It certainly wasn’t her fault—no one had informed her that the doctor hadn’t yet arrived. I felt her head crown as one of the nurses frantically paged my obstetrician from outside the hospital room door. She lied. I was ready. Leah was ready. Finally, the doctor arrived. Sweat dripped from his forehead and neck, leaving dark droplets on his blue scrubs. He was still panting from his unfinished tennis game as he deftly donned his rubber gloves and got into position. With a relieved grunt and one ferocious push on my part, she was out. Leah was finally free, screaming lustily as she took her first breaths. My labor had lasted a total of two hours. Nothing has ever been slow with Leah. Leah’s birth was only twenty months after Nora’s, who was the most placid baby that ever lived. I was pleasantly surprised that Leah was also an easy second baby—that is, until she became mobile. Then there was no stopping her. She wanted to do, play with, and go where she wanted, and nothing I said or did could contain her. I remember after one particular tantrum when Leah didn’t get her way, Rene and I rolled our eyes at each other and agreed that we were going to have it bad when she became a teenager. Fortunately, that didn’t happen—at least not with me. But Leah is so much like her dad: stubborn, strong-willed, and in possession of such caustic wit, that it was inevitable that they butted heads at times. They also share a trait for which I am ever grateful: their hearts are enormous and they are unfailingly loyal to those whom they love. When I was forty-two, and found out I was pregnant with Isa, we gathered the kids around to give them the surprising news. I was worried about how the three of them would react, as I was still getting used to the idea myself. 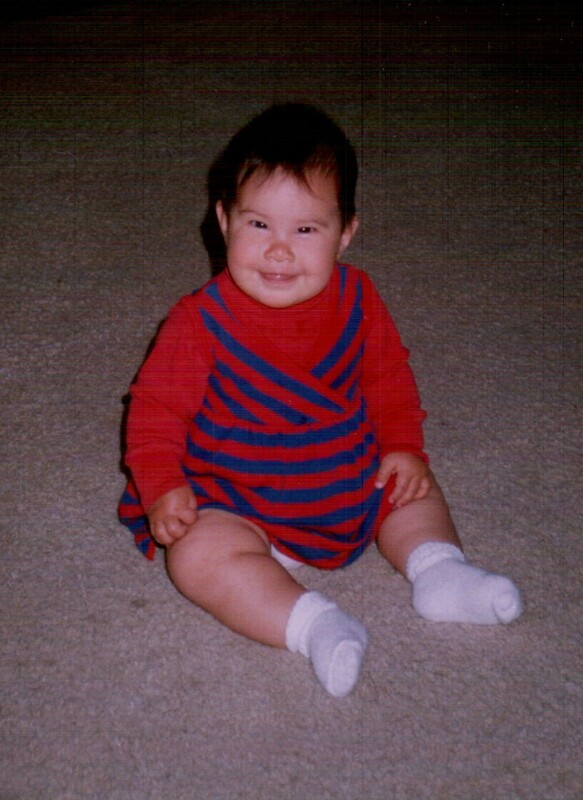 Nora, my oldest at fifteen, cried because she was distraught that she would be going off to college and the baby wouldn’t get to know her. Nino, my youngest at ten, cried because he would be losing his “baby boy of the family” status that had worked so well for him for so long. Leah, at fourteen, was the only one who took the news with a look of pure joy on her face. She was so thrilled that she jumped and danced around, filling the room with so much happy enthusiasm that I actually began to feel my own excitement grow about this unplanned pregnancy. Three years later, when Isa was diagnosed with her cancer, Leah took it the hardest. I can still see her, after Rene and I gave the kids the horrible news that Isa had leukemia, sobbing hysterically on the hospital floor, her long brown hair entwined with the tears on her face. She was beyond devastated. Leah never gives up, though. She rallied as always, and was there in that hospital room, every single day. 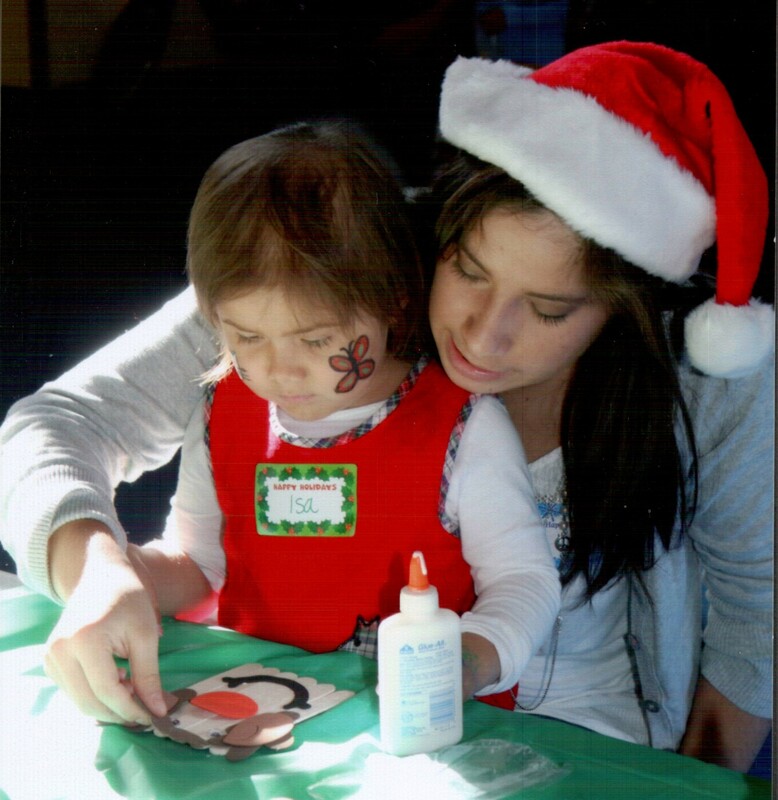 Even though she was terrified of Isa’s cancer diagnosis, Leah entertained her little sister with sincere exuberance, taping pictures and drawings up on the walls, playing games and lying with Isa in her hospital bed, reading endless stories. During the two long years of chemotherapy, when the steroids caused Isa to be irritable and bloated, when her bald head and fat cheeks made her look as hideous as she felt, Leah was there, doing anything she could to make Isa laugh. Leah was my helper and my rock—her therapeutic, steadfast presence helped save me and Rene. Perhaps Isa’s cancer has been a gift for Leah, too. She has developed a phenomenal connection with children that is beyond the profound. She spends her free time volunteering at Children’s Hospital working with kids who have cancer. She has been a grief counselor for teenagers who have lost someone close to them. Recently, we attended Camp Reach for the Stars sponsored by the American Cancer Society for families with children with cancer. Leah volunteered to be a counselor and was assigned to a family with three young children—one of them is battling neuroblastoma (cancer of the nerve tissues). Watching Leah over that weekend, I marveled at how at ease she was taking care of three kids; playing and swimming with them, making them laugh—just basically loving them. She worked to connect her camp family with another family there whose daughter is a long-term survivor of neuroblastoma, so that they could feel hopeful about their own daughter’s prognosis. Leah’s enthusiasm was so infectious with everyone at the camp—people kept coming up to me and saying how much they appreciated that she was there. Watching her interact with everyone, Rene and I were in awe of how she handled herself. We were so proud of our daughter. Now that Leah is in her senior year at USC, she’s pretty much gone from the house these days. I follow her on Facebook and we talk on the phone pretty much every day. She often arrives home on weekends and bustles in, throws her stuff everywhere, does her laundry, and makes us laugh so hard that our stomachs hurt. Then she’s gone again, leaving a quiet emptiness behind her. And then I miss her. We all love our children. The problem is when you like your children so much, it’s often difficult to let them go. I’ve tried my best to hold on to Leah for as long as I could, but it’s her time to fly. I should’ve realized it twenty one years ago. It’s not possible to hold Leah back. Happy 21st Birthday—my darling middle child. I love you. Lexi, admiring her Shrek Birthday cake. Isa is on the far right. Last Sunday afternoon, I went to an ordinary birthday party. There were brightly colored yellow and orange balloons, a red and blue bouncy house and a whimsical Shrek cake in the most vibrant shade of green imaginable. The sun danced like it was still summer, accompanied by the music of children’s laughter, as the smoky scent of a barbecue floated through the September air. The only thing not ordinary about this party was that the birthday girl had absolutely no hair and will soon be headed to Los Angeles to have a bone marrow transplant. The birthday girl has cancer. My daughter, Isa and I went to this ordinary birthday party for three year-old Lexi, who is battling Acute Myeloid Leukemia (AML). We met Lexi and her parents, Kat and Jonathan, through the Teddy Bear Cancer Foundation, which is a local Santa Barbara organization that helps families with their emotional and financial struggles while dealing with a child with cancer. Isa and Lexi hit it off right away, because they’re basically two peas in a pod: their mission in life is to be cute, say hysterically funny things, and make people laugh as much as possible. A year ago, after being diagnosed, Lexi went through intense chemotherapy, and after six months, I was delighted to hear that she was in remission. Unfortunately, AML is somewhat more difficult to treat than ALL (which is what Isa had), and Lexi relapsed. 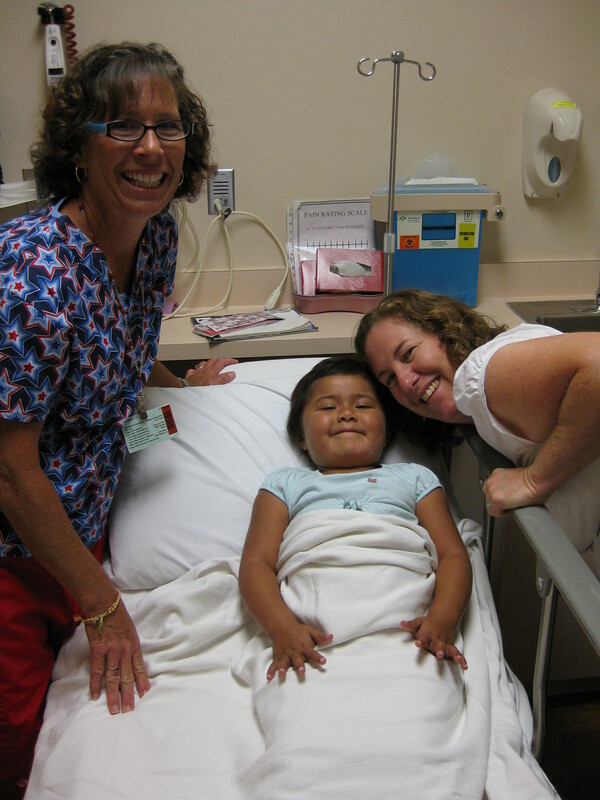 She is now facing a bone marrow transplant, and will travel to the City of Hope Hospital for her transplant in October. The wonderful news is that a perfect bone marrow donor has been found for her. The bad news is the forthcoming isolation of a months-long battle that she and her parents are facing. The day of Lexi’s party couldn’t have been more glorious: the lingering fog was finally chased away by the sun, just in time to make the surrounding green grass come to life with yellow dandelions popping out like polka dots. Lexi was dressed up like a little glamor princess with black leggings and a lacy leopard-print frou-frou skirt. Her perfectly-shaped bald head shone in the sun like that of a miniature, wizened Buddha. She ran around entertaining people with her funny antics and adorable facial expressions. She was an ordinary happy child. I brought my plate, loaded with delicious barbecued chicken and tri-tip, and sat down at a picnic table, surrounded by nurses, doctors, social workers, clinic office managers—all folks whom I’ve met and become close with through Isa’s long journey with leukemia. We dug into our food, joking and teasing each other, like old friends do. By looking at them, you wouldn’t think they are so special. On the outside, they’re the same as you and I: thick, thin, tall, short, old and young. They’re not perfect; sometimes they’re grouchy, admittedly controlling, and even sarcastic at times. But on the inside, these people are extraordinary. They share something rare: a deep capacity to love and the ability to show that unconditional love to all patients, no matter what the child’s circumstances or background are. These remarkable people take care of young cancer patients who are ailing and miserable, and always do it with a smile, a silly joke, or a gentle touch. They deal with rude and irate parents who, so terrified of losing their child, lash out in anger. They smile, bite their tongues and turn the other cheek. They put up with young patients who act out of control because they are in so much pain; kids who cry and scream and hit because they don’t want to be poked with another needle, or swallow any more nasty medicine. Sick children vomit, bleed and poop on them, and they clean it up without uttering a single complaint. They soothe all of us with hugs and kind words and tell us it’s going to be all right. And we believe them. Sometimes their young patients die on them. As painful as it must be, they show up at every funeral and cry because they know they’ve lost another angel. Yet, God bless them, after all this, they still keep showing up for work every day. And there they all were, enjoying an ordinary birthday party, after traveling miles away from their homes, on a Sunday—no less, to be with Lexi on her big day. They came to support Kat and Jonathan. They came to her party because they love Lexi—just like they love Isa. Just like they love Jeffrey and Rosie and T.T. and every single one of their patients. Attending a birthday party for one of your patients doesn’t seem like such a big deal, but really, it’s much more than that. It’s a sign to the patient’s family that they have a support system in place; that there is a group of people who love and care for them, and will do anything in their power to heal their child. Nurses Pam, Peralee and Nanci snuggling with Isa. The answer I gave her is yes, I am moving on, but not in the way she thinks. I’m moving on because after this giant struggle, I’m finally growing into the person I was meant to be. I’m moving on, but I’m also staying put. I’m not going to distance myself from the center of this terrible, horrible, life-altering, transcendental thing that is pediatric cancer, because I’m needed here. There is still so much more work to be done. As human beings, we are all connected in a way that few of us completely understand, but childhood cancer somehow breaks down that wall of self-protection we build up throughout our lives. The vulnerability created by a child’s cancer diagnosis allows one to find that deep, human connection that we all strive to attain. It allows us to start knocking down that wall that’s been fortified by that viscous mortar of fear. Nurse Paralee, Isa and Mommy right before surgery. I carry a powerful memory around in my heart from the start of our cancer journey, when Isa had just been admitted to the hospital. I was at the lowest point I’d ever been in my life; when I was so afraid I could barely speak. Isa’s nurse that day saw the state I was in and came over and enveloped me in her arms. She held me for a long time. As a professional, a nurse is not supposed to make those kinds of promises, but I can tell you that those simple words were like a soothing balm to me. I realized she couldn’t really see the future and know for sure that Isa would be all right, but what she did know is that I needed to hear those words. That was a turning point for me. With just a few sentences, she was able to begin chipping away at my wall. Because of these heroic people who all worked together to save my daughter’s life, I have the luxury to appreciate every moment spent with Isa, or the rest of my family and friends, for that matter, and cherish that time with all of my being. For this, I’m forever grateful. These very same people are there for Lexi, too—giving her parents a sense of support and peace, if only for a short time on the afternoon of their daughter’s third birthday party. It was just an ordinary birthday party, but what I saw was unrestrained grace. The kind of grace when nothing matters except to live in the moment, where love and joy are tossed around like floating dandelion blossoms, their plentiful seeds fanning out in the breeze, the potential for new possibilities not far away. It’s fitting that today, Wednesday, September 21, 2011 is World Gratitude Day. Take a moment and tell someone how much you appreciate what they’ve done for you. 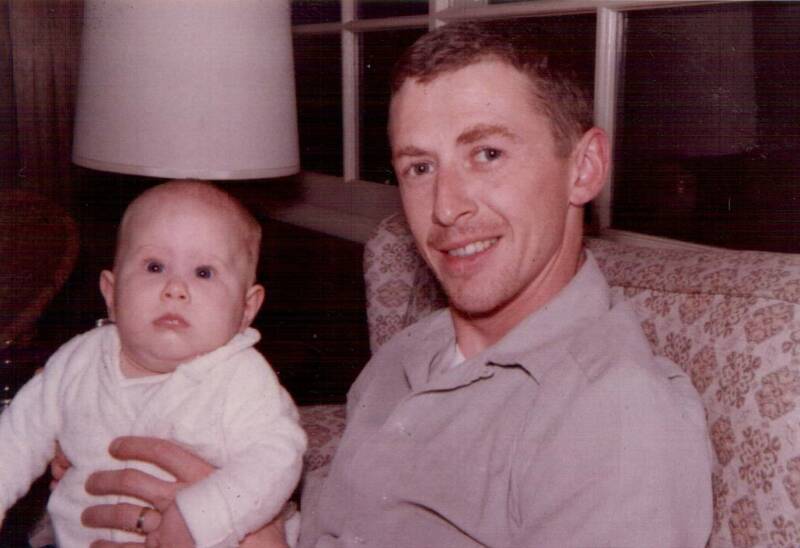 My dad, Joseph Winters, holding me as a baby. I woke up this morning feeling out of sorts and couldn’t quite figure out why. Then I saw this poem by Louise Erdrich posted on Facebook by one of my favorite authors, Elizabeth Berg. She commented that she just about came undone after reading it. So did I.
eagerly, the father is filled. and nothing seems withheld from him. of refuge in the design. In my post yesterday, I was very rough on my dad. I’m not saying it wasn’t an honest account of my feelings about his alcoholism, but I didn’t write anything about how he got up each day before the sun came up to go to a job he detested just so that he could support our family. I didn’t write about how he gave up his own dream of being a writer because he had to raise three children. I didn’t write that he probably suffered from severe depression his entire adult life which most likely manifested in his alcoholism. I didn’t write that he was extremely intelligent, witty and well-read. I didn’t write about how he came to almost every one of my piano recitals. I didn’t write about how at Christmastime, when we all watched the black-and-white version of Dickens’ “A Christmas Carol” he would cry silently, fat tears rolling down his cheeks. I didn’t write about how much my dad loved me, and even with all of his faults, managed to tell me that regularly. So I’m writing it now. Isa, three days before her diagnosis of leukemia. I had put her in the sink for a cool bath to bring her fever down. I’m standing in the grocery store aisle, staring at the myriad of canned goods, trying to figure out which brand of stewed tomatoes offers the best deal, when I hear a voice next to me. I turn and face an older woman who has a bemused smile on her face as she looks at my daughter in the shopping cart. I’m used to people making comments about Isa, because she’s a beautiful child with big brown eyes and skin the color of caramel and cinnamon, so I turn toward Isa, expecting to see her flashing a toothy smile at the lady. I’m surprised to see that Isa has fallen into a deep sleep, her head resting on her shoulder at an odd angle, like one of the floppy cloth dolls from the toy box in her bedroom. “Well,” she smiles at me, “You are so lucky! I wish my kids would’ve slept like that in the grocery store when they were little. I would have gotten a lot more shopping done!” She walks off chuckling down the aisle. My chest feels heavy. Isa is completely out. Why is she so tired? She slept over twelve hours the night before. And now it’s only 9:30 a.m. I try to put the fear out of my mind, but as much as I want to deny it, I realize something is seriously wrong with my little girl. I don’t believe that there is such a thing as a perfect childhood. All of us carry baggage around with us from our past that influences how we behave as adults. Because of my own past experiences, I tend to shy away from conflict and I’m likely to hide from confrontation and anger. But my closest relationship is with good, old-fashioned denial. I’m sure it’s because I was raised in a dysfunctional family in the 1970’s, complete with an alcoholic father, who when drinking, would send our household into a frenzy of fear and anxiety. As the middle daughter between two brothers, I became adept at putting on a happy face, running around trying my best to make everything all right so my father would choose us over alcohol. I thought that if I was good enough, I could influence his behavior. Sometimes I thought it worked; he would stay sober for two or three days and I could pretend we were a normal family. It never lasted, though—he would always fall back off the wagon. On those drinking nights, I would hang suspended in a bubble of anxiety, filled with a sense of foreboding while I waited for everything to explode into a horrific scene of drunken, irrational behavior. I loved my dad so much when he was sober, and I hated him more when he drank. My child’s brain believed my actions influenced whether or not my father drank, so I did everything I could think of to prevent it. I cleaned the house without being asked, was an exemplary student in school, and practiced the piano for hours so that my parents would be proud of me. I tried to make my dad laugh so he would not get annoyed with me or my brothers and use his irritation as an excuse to drink. I became the pleaser child; the one who put my own feelings aside in my attempt to create a façade of a normal family life. I learned to pretend that my reality was an acceptable one, and that I could control it if I tried hard enough. Because these feelings of anger and hate and disappointment that I had toward my father were so intense and painful, I subconsciously tucked them all away, and put them into a locked box so they couldn’t hurt me. I’ve carried that heavy thing around on my back throughout my entire adult life. It’s been so much easier not to feel. When I look back on when Isa first got sick, I can see how I let my coping mechanism of denying anything painful prevent me from facing what I must have known in my heart: that my daughter was extremely ill. All of Isa’s symptoms were laid out in front of me like a detailed road map, but I was unable to follow it because of my inability to accept that bad things can and will happen to all of us. I stood still in fear and denial, when I should have leaped into action. I’m Isa’s mother—I should have known how sick she was: she had absolutely no energy; she could barely walk up the stairs without getting winded. She had dark circles under her eyes and was sleeping more than usual. The worst part was that she had recurring fevers of at least 102 degrees for almost a week and a half with night sweats so severe that the sheets were often soaked the next morning. It never even crossed my mind that she had cancer. Twice, I ended up taking her to the local clinic because her pediatrician was out of town, and both times, the doctors there reinforced my own diagnosis of a virus and sent us home with instructions to give her Motrin and come back if her fever didn’t subside. I never questioned them, because I wanted to believe that it was just a virus. I never imagined that my child could become catastrophically sick. Many times, my other three children had fevers and acted listless; I’d worry a little, give them medicine, and put them to bed. A few days later, they’d get better. But Isa didn’t get better. My good friend denial is a tough contender, though. In the recesses of my mind, I knew it was something serious, but I was just so damn afraid to admit it to myself. I sharpened my denial like a knife on a wet stone. She will be all right! I waited and waited for Isa to wake up in the morning, jump out of bed and once again act like a normal two year old, but she never did. That afternoon, Isa was admitted to the hospital with severe anemia. Her bone marrow was extracted from her hip and sent off to the lab for analysis. Two days later, we found out she had leukemia. Denial went down and reality won the fight. This was very bad indeed. No matter how hard I tried to prevent it, the bubble had exploded once again. The difference is that now I can’t possibly deny my reality, because there’s nothing I can do to change it. I have to accept that very bad things happen sometimes, even to very good people. The trick is that I have to use this ordeal of my daughter’s cancer as a chance to learn something pivotal and enlightening, because that’s really what life is meant for: big lessons and little lessons. It’s about what you learn from your experiences. I’m also learning that there really is no such thing as security, and that’s all right. It’s better to feel afraid than to feel nothing at all. I suppose I should begin by writing about my cancer experience. It’s really Isa’s cancer experience, but she was only two years old when she was diagnosed, and barely remembers any of it, so I’m claiming it as my own. I want to share my story because it’s the main reason I began writing again in the first place. It’s much too long a tale to tell in one post, so I’ll probably write about it here and there and spread it out over time. Last night I was back in the hospital with Isa and my husband, Rene. No, I wasn’t there because our daughter was sick or had suffered any relapse of her illness; but because Isa’s pediatric oncologist had asked us to speak to the parents of a four year-old girl (whom I’ll call Lili to protect her privacy) who was recently diagnosed with the same kind of leukemia that Isa had. He thought it would comfort Lili’s parents to meet Isa and see that after two and a half years of chemotherapy treatment, our daughter is now a normal, healthy six year-old. It’s still very difficult for me to go back to the hospital, even though I know that Isa is in complete remission right now. Walking through those endless tunnel-like hallways lit by the yellow glare of fluorescent lights, seeing all the doctors in their light blue scrubs, and especially the distinct sweet smell of hospital antiseptic, all manage to trigger a mental time-relapse in my head. I’m transported back to a place in my life when everything I considered normal blasted apart like two cars in a head-on collision. Before Isa’s diagnosis, pediatric cancer was something I’d watch once a year while the St. Jude Hospital telethon played on television. Cancer in children was relegated to the narrow periphery of my life; a quick glance of a sunken-eyed, bald headed child lying in a hospital bed, tubes dangling every which way from her body like strands of dress-up costume jewelry. I’d pause a moment to sniffle noisily while the music swelled and think, “Good thing that’s not my child—I’d never be strong enough to handle that!” Those brave and miserable kids managed to bring tears to my eyes, but I was so removed from the reality of childhood cancer that I never even made a donation to St. Jude Hospital. Not once. Then it happened. From one day to the next, I had become a member of a very special club— THE PEDIATRIC CANCER CLUB. Welcome to stark hospital rooms, the endless scrubbing away of germs, sleepless nights, and life-altering anxiety. Welcome to anesthesia, surgery, blood transfusions, and an array of chemotherapies so toxic that the nurses have to wear protective clothing so as not to burn their skin while they are putting those cell-destroying chemicals into your child’s body. Welcome to the abyss of primal maternal fear. It’s not a place I’d wish on my worst enemy. I will tell Marta that Lili will most likely not die—that her daughter’s type of leukemia has almost a ninety percent cure rate. I will tell her that she’s about to go through the worst hell imaginable; that watching her daughter suffer will be a heavy burden that she’ll carry for many years to come. Yet, in the same breath I will also tell her that she will come out of this experience with a greater appreciation for the beauty and preciousness of life. I will tell her all of these things, but I know she won’t believe me right away. She won’t believe me because she has to experience it herself. She has to go through the process. Right now, she’s in that place that you can only escape through the passage of time and experience. Marta won’t feel safe again until Lili is done with her treatment; her hair all grown back, and is considered cured. Even then, the fear will never go away completely. She’ll do as I did: watch and wait and worry. She doesn’t yet know that the fear will ease over time, and the evidence of great blessings will become apparent. Lives are changed by a child’s cancer diagnosis; normal family life is turned upside down in an instant. What I’ve learned is that patience is paramount, because many blessings are right around the corner. You’d never imagine it, but cancer can turn out to be a marvelous gift—an incomparable, transforming gift. Isa’s cancer experience certainly changed me in profound ways: I learned that I am stronger than I ever imagined. I learned to accept a difficult situation with grace. I learned to allow others to help me when I was used to doing everything myself. I learned that there are angels walking amongst us who are masquerading as pediatric nurses. I learned to slow down and breathe and be grateful and LOVE more deeply. I learned that I have the ability to help others who are going through what I went through—that I have something significant to share with them, just because I’ve been there. I walk into the very same hospital room that Isa stayed in over four years ago. There is Lili, sound asleep in her hospital bed, the static whir and beeping of the machines droning in the background, and I see her mother next to her. I reach out to hug her tightly and our tears flow together. I will help her to not be so afraid. Tags: Acute Lymphoblastic Leukemia, chemotherapy, going through the process, helping others with cancer, leukemia, mother's cancer experience, pediatric cancer, pediatric cancer club, why not me? I’ve decided to join the blogging world, and I owe it all to a wrinkly old lizard, which I will explain directly. This past year I had an experience that made me realize something profound about myself. Although my lifelong fantasy has always been to be a writer, for some unknown reason (fear of failure or possibly success—fear being the key word here) I haven’t seriously practiced the craft of writing since college. I’ve just spent zillions of hours writing in my head while I do other things simultaneously: like raise four kids, run a household, teach a studio of forty piano students every week, and play the piano at church on Sundays. Other than my scintillating Christmas newsletters jammed full of all the exciting annual doings of the Mireles family, typed in the tiniest print imaginable in order for it to fit upon one page (which by the way, everyone raves about what a good read they are), I hadn’t written a word since 1985. This all changed a few years ago when my youngest daughter, Isabella, was diagnosed with cancer. I won’t go into that story, at least not right now, and many of you have already heard all about it already. What I will tell you is that after experiencing the possibility that my child could die, I began to prioritize my life in a new way. I decided to let go of some of the fear, and try something new for once. After over two agonizing years of dealing with Isa’s chemotherapy treatment for leukemia (she’s now in first grade and doing beautifully, by the way), I decided it was time for me to finally get to work and do something about fulfilling my dream. I signed up for an adult education writing class and I started writing. I immediately started working on the story of my experience dealing with Isabella’s cancer. I even told everyone in my annual Christmas newsletter that I was writing a memoir about it—(very bad idea– I don’t recommend doing this because someone may actually expect you to write it someday.) I was so motivated that I signed up for second class with a different teacher, thinking that I’d be the star pupil and demonstrate to my new class what good writing was all about. I was so full of myself I could hardly get up the stairs. You can probably figure out what happened next. This new teacher didn’t like my writing. She said it was cliché and “banal” and ordinary. She then asked me if I ever read any novels—and this took me by complete surprise because I’ve been a voracious reader my entire life and even belong to two book clubs. She said I had a good story to tell, but I just needed to go out and buy a decent Thesaurus and learn how to use it. I nodded my head enthusiastically, told her I would do the necessary revising, and then immediately stopped going to class. My original assessment of this woman was that she was a creative and insightful teacher who hit the nail on the head every time she analyzed my classmates’ work. I would nod in agreement with her wise assessments of how each writer could improve upon their work. After her rough critique of me though, she instantly morphed from a creative and eccentric grand dame to a bent over old crone, disheveled in her mismatched clothes two sizes too big for her. While I once thought of her as unconventional and quirky, I now viewed her as a distracted scatterbrain. Her unkempt and badly dyed orange hair bled a winding white path up her head, leading the way to a stringy nest at the nape of her neck. She had a nasty habit of continuously licking her yellowed teeth with a wet, lizard-like tongue that darted in and out of her salivating mouth like she was just waiting for the precise moment to attack her prey. (How’s that for being descriptive?) Oh, I was furious, all right. I did not appreciate her constructive criticism. But in the back of my mind, I knew the truth. My new found loathing of her was basically because she was right. Needless to say, (I know—a cliché, but I don’t give a crap), I got discouraged and stopped writing altogether. I’ve always had a problem with confidence, so I felt like a complete failure. How dare I think that I had the talent to become an actual writer—that I actually had something compelling to share? My writing friends encouraged me to keep at it. They loved my writing and told me not to become disheartened, but I was done. The “Crone” as I referred to her in my head, even called me twice, once to apologize for being so tough on me, and once to ask me to come back to class. There’s the remote possibility that she thought I had potential after all, and just wanted to push me to be a better writer, but I honestly don’t know for sure. I do think she needs to grasp the idea that writers (just like musicians, or any other artist, for that matter) are our own worst critics. We obsess and fret about even the tiniest and most innocent comments uttered about our art. I’ve found that in my own music teaching, it’s imperative that I excessively point out the positive aspects to a student before I say anything negative, even if I’m trying to be constructive. Perhaps if this teacher had given me even a tiny bit of positive feedback first, I wouldn’t have been so devastated. After that experience, I just couldn’t bear going back to class to share my writing knowing that she thought I was so banal. I gave her a veiled excuse about how busy my piano teaching schedule had become, and told her I’d come back to class soon. It was a lie; I never went back. I stewed and simmered for about six months, fighting the urge to get back on the computer, but I’d quash any desire by telling myself I just wasn’t good enough and would never get anywhere with my writing. “No matter now busy you get,” I insisted, “just spend 15 minutes on it every day, working measure by measure, until you learn it.” I also made a point to tell her that I wouldn’t waste my time telling her how hard she needed to work if I didn’t think she had talent and ability, and that her innate musicality was something that no teacher could ever teach a student. She came back the following week with the entire prelude learned. Maybe the “Crone” should take a lesson: You catch more flies with honey than with vinegar even if you have a long lizard tongue. My goodness, I guess I’m still not over it. My blog will mostly be about relationships between people: the meaningful and complicated ones we all share with family, friends, and others in our communities. I’ll probably write about mundane and ordinary things, too, because they make life interesting, too. The most important thing I’ve learned since Isa was diagnosed with cancer is that everyone has a story to tell, and often, that story is fascinating. Maybe something I write will capture your imagination—maybe not—just don’t tell me if you hate it, please. Comments and encouragement are welcome. I’ll try not to bore you. I promise to use good grammar. I’ll even take criticism, as long as you pepper me with many compliments first! I can’t guarantee you’ll enjoy the concert, but at least the admission is free. Oh—and by the way, the lizard is not invited to attend. Allegro non tanto: Italian words used to describe the speed of a piece of music. Fast, but not too fast. I’m a piano teacher by profession, so I consider myself pretty much an expert when it comes to music, but I often find this tempo marking difficult to interpret. How fast is “fast, but not too fast”? It’s something I’ve been thinking about for a while now. In our stressful, over-produced lives, we often go too fast for our own good. Now, going fast is not always a bad thing—oh, the tasks we accomplish when we speed through life! Our existence seems so much more exciting and dramatic when we race toward the finish line. What we fail to realize is that there is no finish line. In our haste to get where we think we’re going, we miss out on so much on the way. Life flashes by when we’re always trying to reach that unidentified goal; but because of our ignorance, we truly believe that when we get there, we’ll finally encounter that state of bliss that has always been just out of our reach. I’ve been living my entire life in an “Allegro” state of mind, when all along I should have just added a little bit of “non tanto” to the mix. I often tell my piano students that they must slow down when they practice. Most children will choose a tempo that is faster than they can handle at the moment; their notes will come out uneven and sloppy in their haste to master the piece. They will unintentionally create hesitations and pauses that disrupt the flow of their music. They rush the tempo because they want the music to sound the way they think it’s supposed to, before they’ve put in the time on the piece necessary to make it a polished performance. After practicing so fast for so long, these disruptions are very difficult to get rid of. In practicing the piano, I’ve found the only way clean up these problems is to start over and slow down. Go fast, but not too fast. Give yourself time to breathe; to feel the phrasing of the music, hear the nuances buried in the musical line. The reality is that a great piece of music is never finished. You can always make it better. Just like life.